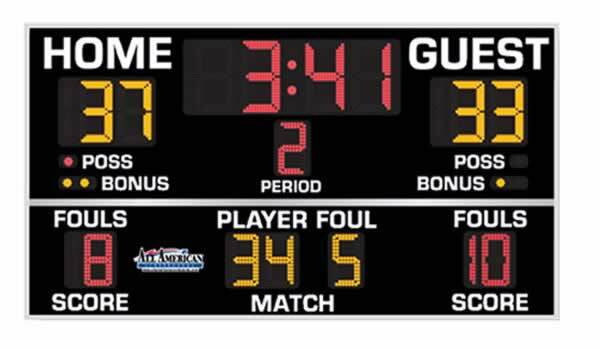 Dakota Playground provides quality Scoreboards at affordable prices to our customers. 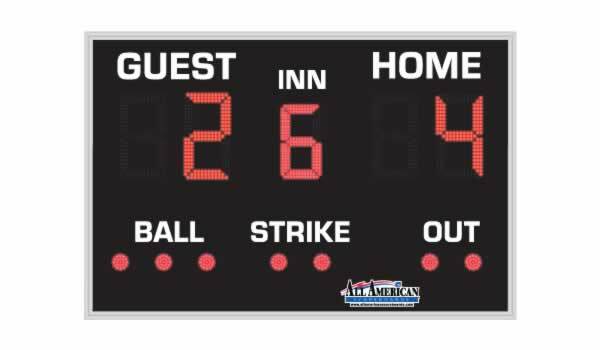 Contact us to find out how we can customize one for your school or team. Dakota Playground offers a wide variety of All American LED Scoreboards and video displays. 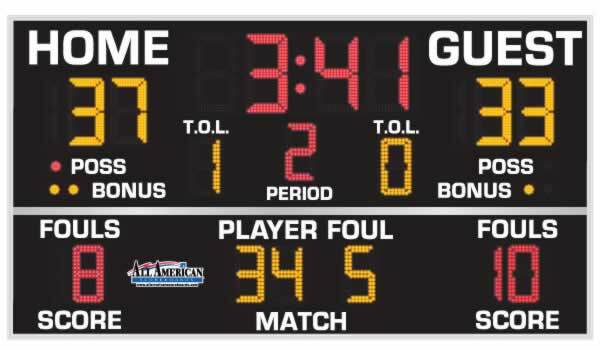 These highly efficient LED scoreboards allow us to offer our customers added savings, value, functionality so that their fans can engage with their teams as they stay informed. 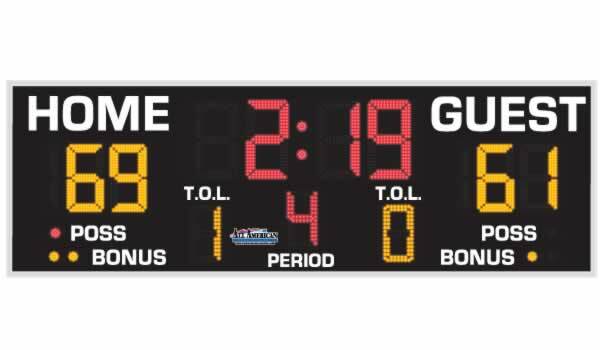 We deliver custom design and installation of scoreboards and LED digital displays, contact your Dakota Playground consultant to get started today. 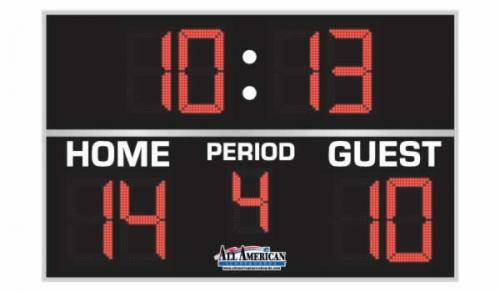 Keeping score has never been so easy! 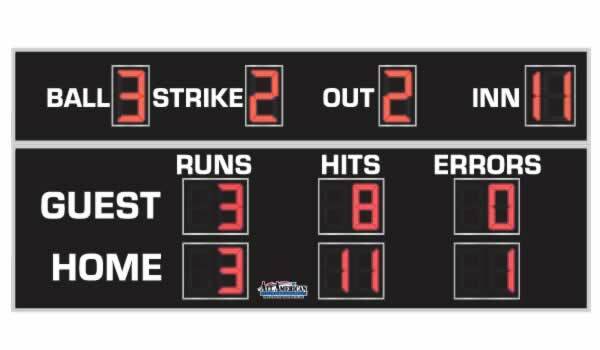 Upgrading to a radio controlled system gives your console even more flexibility to keep score from nearly any location. 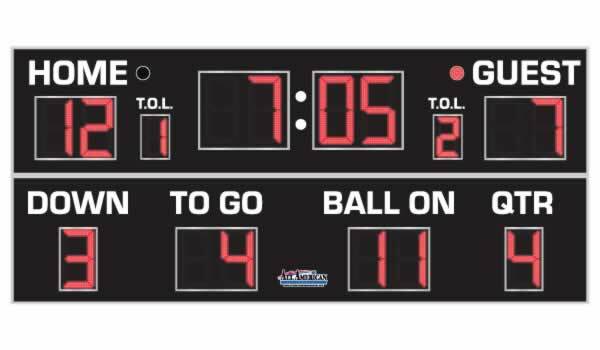 Adding the Radio Control option allows you to connect to an 8000 Series Console with radio capabilities. 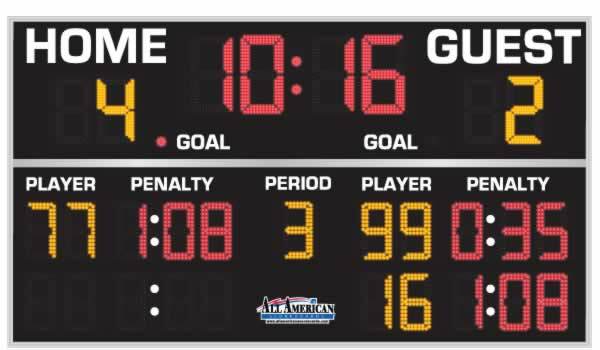 Set up your scoreboard at any location - or take it with you during practice! Portable consoles come equipped with a rechargeable 25hr battery that recharges in 3 hours. Perfect for those locations without an AC power source or for peace of mind if your location ever has a power failure. 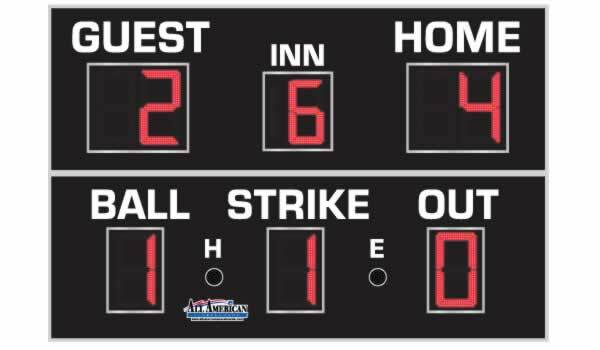 No need to lug around a cumbersome battery pack - the battery fits inside the scoreboard casing and can charge while in operation!